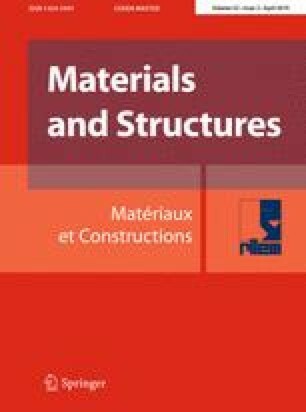 To investigate the influence of concrete quality and drying duration on steel corrosion rate when cyclic wetting and drying is used to accelerate corrosion propagation. To inform future similar experimental work in the area of accelerated steel corrosion in concrete. Concrete prisms (100 × 100 × 240 mm) were made using two w/b ratios (0.40 and 0.65) and three binder types. After elimination of the corrosion initiation phase using an impressed current technique, the specimens were exposed to cycles of wetting (2 days) and drying (1, 3, 5, or 7 days). Steel corrosion rate was monitored using a coulostatic technique, over a period of ca. 170 days. Both the duration of drying and concrete quality profoundly affect corrosion rate of steel in concrete in a cyclic wetting and drying regime. A general inference from the results is that with drying, the denser microstructure concretes with high resistivity exhibited resistivity corrosion control while the less dense microstructure concretes with low resistivity exhibited both cathodic and resistivity corrosion controls. In accelerated corrosion testing using cyclic wetting and drying, the combined effects of concrete quality and drying duration need to be considered in determining corrosion rate. The authors wish to acknowledge with gratitude the financial support received from: CoMSIRU, The University of Cape Town, The Concrete Institute, The National Research Foundation (NRF), Sika (SA) Pty Ltd., PPC Ltd, AfriSam, Haw & Inglis Civil Engineering (Pty) Ltd, Aveng Grinaker-LTA Ltd, The Tertiary Education Support Programme (TESP) of ESKOM, and the Water Research Commission (WRC). The work was undertaken by the second author as part of his MSc(Eng) studies at the University of Cape Town. The study presented in this paper has no ethics-related issues, and has no conflict of interest issues to disclose.